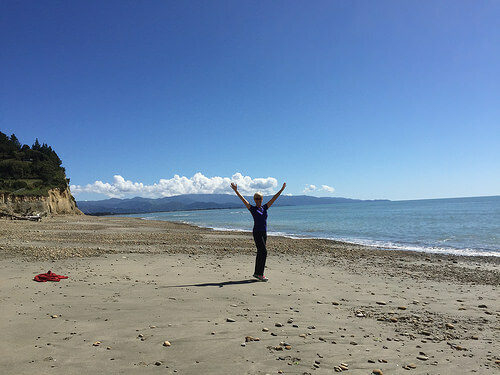 If you’re lucky enough to visit the Tasman Region, why not consider a at a Ruby Bay Getaway, Kina Beach and Tasman Vineyards. This area is so very special place with beautiful vineyards and valley views. 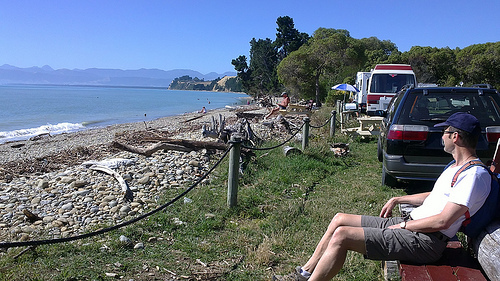 It’s also a short distance away from one of the Ruby Bay’s great walking beaches. Once you reach the Mapua turnoff, you’ll actually feel like entering into a slower-paced world. 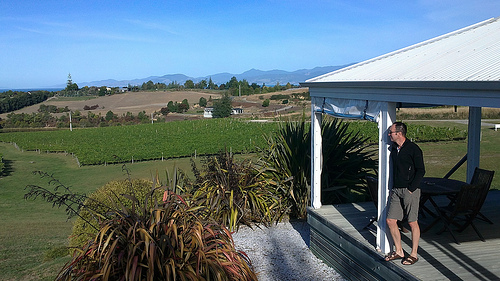 The Ruby Bay Vineyard has a beautiful spacious vineyard cottage. The cottage has elevated views overlooking 9 hectares of grapevines just dripping with grapes. 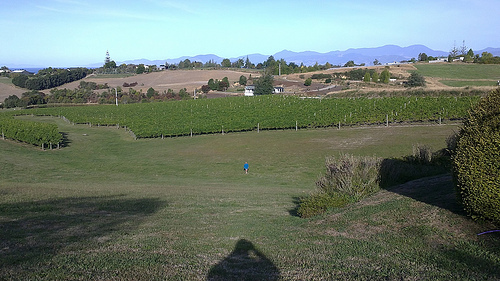 Access to the vineyard is via a short gravel road less than kilometre from the main house. 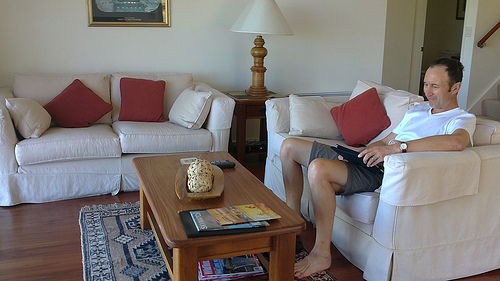 The cottage interiors are decorated to create a comfortable and relaxing ambience. The walls are painted in a warm pristine white with warmer creams accented throughout. This decor goes perfectly with the dark stained wooden floors. There’s a rainhead shower in the bathroom and organic lavender products. Actually, the whole cottage smells really wonderful! 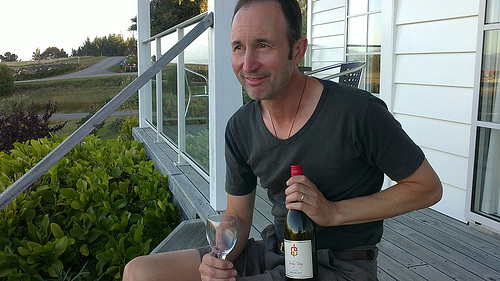 Ruby Bay Getaway, Kina Beach and Tasman Vineyards – what is included? Don’t you just love generous hosts! The fridge is groaning with food and not just the generic stuff. What you’ll get is export Portabello Mushrooms. tomatoes and cherries, eggs, fresh fruit, yoghurt, orange juice and milk. The cupboards are full with a variety of cereals – and if you feel like baking, then all the ingredients are there. 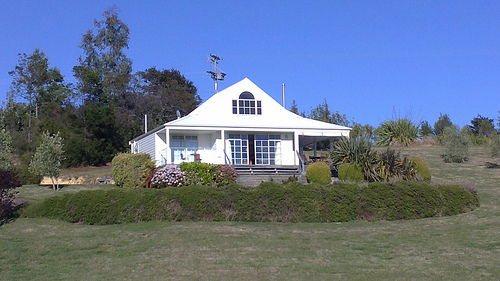 The minute you arrive at this lovely cottage, you’ll be treated to a huge gourmet platter and a bottle of Ruby Bay wine. This is definitely NOT a 1-night stayer. If you can finally wrestle yourself off the verandah deckchairs, go exploring the Kina beach area. This beach is only a short drive from the cottage. Take a stroll along the entire length of the beach and remember to stop to admire the birdlife. There is a common misconception that you pay more for exclusive occupancy, but when you look at what’s included, you have to admit its real value for money. You probably won’t eat out much, as there’s plenty of food in the cottage. But perhaps the true value of a stay here is the peace and privacy you get. Surely, this is what memories are made of folks! Hi Jane, great to hear from you. Its been too long and yes, catch-up is long overdue. Will email you to arrange a time and place. Looking forward to it.